Woo Hoo! Summer is here. Three glorious months of sunny skies, warm weather and family time. 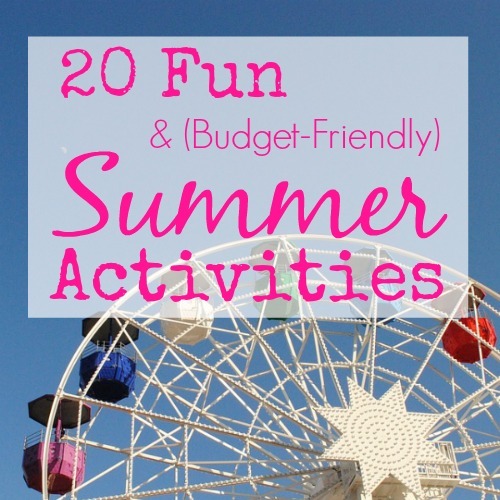 Here are 20 summer activities that are family friendly, fun, and easy on the budget. My family has had fun with most of these ideas locally, but a quick Google search will help you find locations and destinations near you. Rail trails are old railway lines that have been converted to multi-use paths designed for pedestrian, bicycle, skating, equestrian, and/or light motorized traffic. My husband and I lived near a trail right after we were married and we rode our bikes there many Saturday mornings. That particular trail was very shaded and had picnic tables along the path. It was awesome and we plan to take our kids this summer now that our youngest daughter is riding a bike. My state of PA has 93 rail trails that cover over 1000 miles. Visit the Rails to Trails Conservancy to locate rail trails near you. Do you like to picnic, hike, swim, camp, bike, bird watch, canoe, fish, and spend your free time exploring the great outdoors? 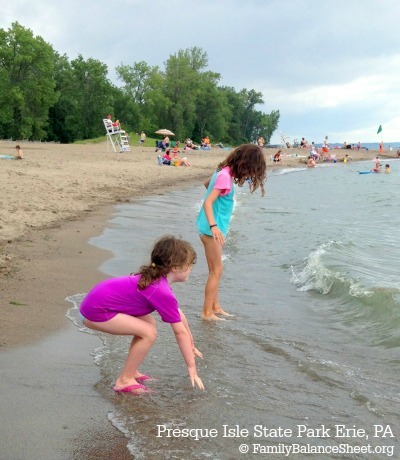 You can enjoy all of these activities and more at a state park! None of the 120 PA state parks charge an entrance fee into the park. Search the web for information about your state’s parks. 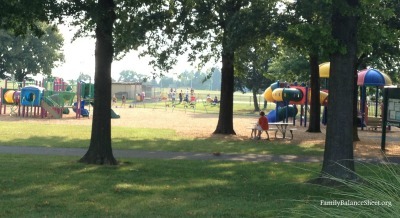 My girls love to go to playgrounds, and I like to mix things up by taking them to a different one each week. It prevents boredom…plain and simple. Each playground visit is a new experience with different kids to play with and different equipment to explore and I don’t mind driving a few extra miles to try a new park. We pack snacks, water, and sunscreen and head out in the morning to beat the high afternoon heat. Unless you’re a member of a tennis club, hitting the tennis courts is usually free. Find a free court, borrow or buy rackets and go play some tennis. We found junior tennis rackets at a yard sale for our kids. I’ve found coupons in our local Clipper magazine. Several local orchards in our area are fun playtime destinations with playground equipment, petting zoos, mazes, butterfly house, picnic areas, and u-pick fruit patches, such as strawberries, raspberries, and blueberries. Hit the amusement parks in the late afternoon and save considerably on the admission fee. We live near a huge amusement park that is a bit pricey, but after 5pm the price reduces considerably. And it is much cooler than at mid-day. Look for local fairs and festivals for low cost games, food and activities. We love to go to the harvest festivals in the summer time for strawberries, peaches, and apples. Local towns, libraries, malls and fire halls also host carnivals and festivals as fundraisers. Keep your eyes and ears open for local activities. 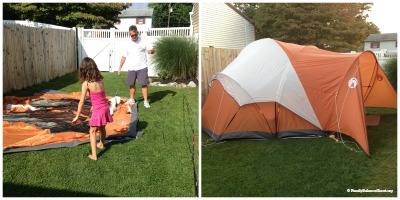 My husband and kids camp in the back yard at least once a week during the summer. Sure you can buy ice cream, but this is a fun and delicious activity for the littles. Fire up your back yard fire pit and invite the neighbors over for S’mores. 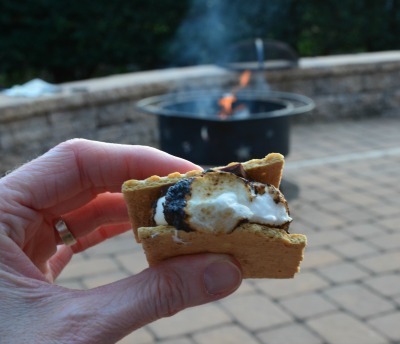 Check out 20 S’mores Recipes for some fun ideas. Turn the TV off and head outside for a game night. We like to play croquet and bocce ball, but I found hundreds of ideas on Pinterest. My daughters have a lemonade stand every summer during our neighborhood’s yard sale. They’ve also sold bottled water, homemade cookies, and crafts. They have fun, make a little change, and it’s a great lesson about money. On those days when the weather hits 90+ and the pool feels more like bath water or a summer storm seems to last for days, these indoor activities will be air-conditioned, entertaining, competitive, and often inexpensive. I’ve found coupons in our community’s Bonus book and Clipper magazine for Buy 2 Games, Get 2 FREE. 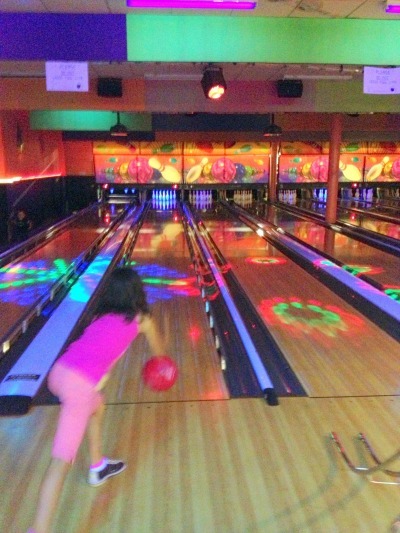 Also register at Kids Bowl Free and your kids receive certificates to bowl 2 FREE games a day all summer at a local, participating bowling centers. Shoe rental is not included. We love to watch a movie on the big screen, but at $7 a ticket, the whole experience can really blow the budget. Some theaters are offering great kids’ movie deals over the summer months, so do a Google search for your neighborhood to find any deals at theaters near you. Or check out these links to see if there’s a participating cinema near you. CineMark Summer Movie Clubhouse: $5 for 10 movies when purchased in advance or $1 per show at the box office. Our local roller rink offers buy 1 get 1 free coupons in the Clipper magazine and Bonus book. VBS is a week long morning camp with a biblical focus and plenty of fun activities, games, snacks, crafts, and music. Many churches will be starting to advertise their VBS is the upcoming weeks. It usually runs Monday through Friday in the mornings or in the evenings. It is also usually free or a small donation and open to the community as most churches welcome non-members. Check to see if your local museums offer summer programs or coupons for cheaper admission. Also, if you’re a Bank of America card holder, you can get free general admission to 150 museums nationwide through their Museums on Us program. 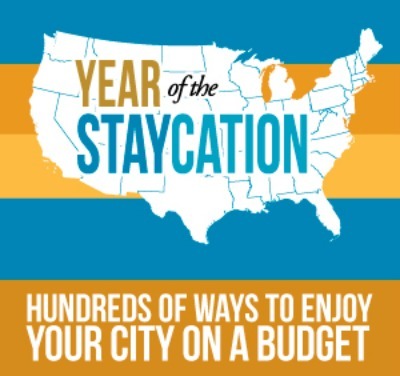 I teamed up with over 50 bloggers from across the United States to put together this list of budget-friendly staycation and travel ideas from different parts of the country. I shared ideas for Central PA, and the rest of the list is at the bottom of this post. What fun activities do you have planned this summer? Tell us all about it in the comments. Thanks, Kristen. I enroll my kids in the summer reading program too. Our library has many activities throughout the summer, which helps motivate my kids to read during the summer. We love hosting s’mores parties! We’ve done it two years in a row now. August 10th is National s’mores day! I had now idea there was a National S’mores Day. Although I’m not surprised, it was national iced tea day last week–lol. I will be sure to celebrate on 8/10. 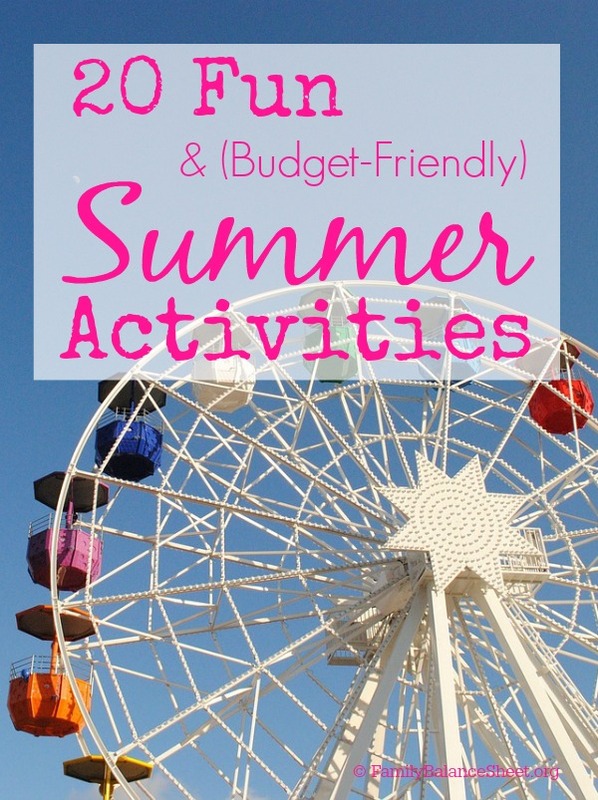 So glad you shared this list with us at the Summer Family Fun party. There are a lot of great ideas here! Ice cream in a bag sounds like heaven!!! Well as for my family, we plan on getting a dog from a shelter this summer vacation. The kids are very much excited about it as well, making be confident that the new baby dog would be taken cared of (maybe even fussed over a lot). 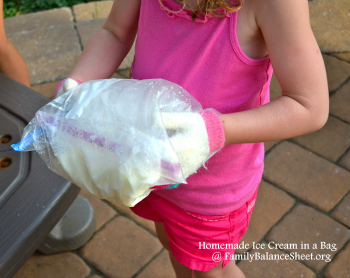 Ice cream in a bag is a lot of fun–just don’t forget the gloves! We rescued a dog last summer and I can’t imagine life without her. She’s laying at my feet as I type this. We adore her.